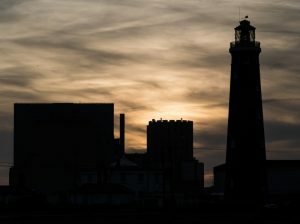 Today we drove down to the weird Dungeness peninsular in Kent for a first field test of the FZ1000. We compared the handling of the FZ1000 to a semi-pro APS-C DSLR fitted with the Sigma 100-300mm f/4 constant aperture lens. My partner will be charging around Zambia next year on a photo/art safari. She is reprising a trip she did with a friend a few years ago (to Tanzania on that occasion). She came back from that trip disappointed with the quality of the pictures. She is determined to outdo her friend this time, hence the big Sigma lens. I have my reservations about the Sigma lens. It is high quality but not image stabilised. It’s long and it’s heavy. I find it difficult to hand hold effectively. I’ve pushed the alternative of a good bridge camera which is why we are testing the RZ1000. 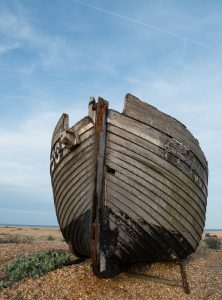 We wandered around the shingle for a couple of hours, photographing the abandoned fishing boats, huts and rusting boat hauling gear. The aim was to test the cameras at long focal lengths as that is what she will mainly be using in Africa. 20 minutes in, my partner was complaining about the weight of the DSLR/lens combo. Not just shooting with it but carrying it. She was struggling with the 2.5kg outfit, it hurt her arms. There is a big difference between handling heavy cameras for 10 seconds at the dining table and lugging them around in the field. She was happy to swap to the FZ1000 soon as I offered it! Snapping the boat. 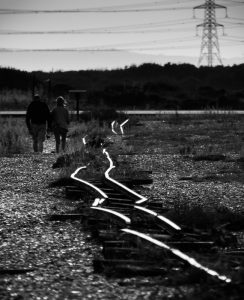 Dungeness is popular with all kinds of photographers. Both of us drew a very rapid conclusion – the big lens needs support. I can’t see her using this in the field without a monopod. For next field test we will definitely be getting hold of one of those. How did the bridge camera do in the handling stakes? Obviously, it is much easier to handhold – it weighs a third of the DSLR combo and the lens only sticks out a fraction as far as the Sigma and it has a much smaller/lighter front element. This makes it far better balanced for hand holding. The body has a chunky grip as well. The lens retracts to only 60mm in length when powered off, so it is no bother to carry when not in use. The Sigma lens stays the same size at all settings. The FZ1000 is just as easy to hold in portrait orientation while the DSLR/Sigma is much more difficult to hold this way. Frankly, in terms of handling it was a walk over for the FZ1000. Zoom lever or lens ring? One basic set up question remains with the FZ1000. What to use the zoom lever around the shutter button for? By default it provides an alternative way to zoom the lens. Or you can set it up so it operates as a Exposure Compensation dial. It’s a quandry. The fly by wire zoom ring around the lens is nothing like as tactile and intuitive to use as a mechanical zoom. I don’t like it much. The zoom lever works much faster and gives you one handed control of the camera. But if you zoom with the lever, you lose the use of it to control exposure, as the Fz1000 lacks a front command wheel. Instead, you switch the rear command dial between setting aperture/shutter speed and exposure compensation by pressing it in. It is a clickable dial. This is handy and you quickly get used to it but it’s an extra step and you have to keep checking to see which mode you are in. I miss the front command wheel from the G7 (or a second rear dial dedicated for exposure compensation), hence the temptation to use the zoom lever for this purpose. Currently, we are sticking with using the zoom lever for exposure compensation. We’re using the zoom ring in stepped mode so instead of twirling the zoom ring frantically to zoom smoothly through the range, you nudge it slightly to hop from one pre-set focal length to the next. We’ll see how this goes long term. It’s not ideal but learning to use a camera intuitively is part of ownership. 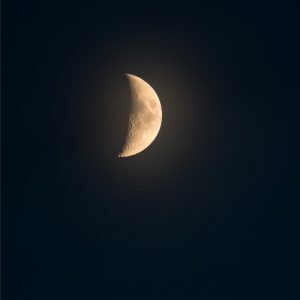 Handheld at 400mm equivalent @1/25th second. Yay for image stabilisation! Use the lever for the zoom, the ring is too slow. Keep the ring for manual focus. There’s no alternative, unlike the zoom. However with MF you can set up a back button focus, I use the F3 button for that and that will give you a one touch AF when in MF. I find that very useful. Keep the camera in M mode and you’ll only have to worry about changing the shutter speed. The F number goes up quickly from F2.8 at wide angle, so basically treat it as a 400mm F4 lens. Therefore only SS and ISO to worry about. In tricky, or changing light you can set the ISO to auto, or you can go to iA for those conditions. I wouldn’t leave the ISO on auto in M, as I find that it will cause overexposure in good light. I find 400mm is not long enough for my needs and use the extra optical zoom, which if you set the camera to 10mp will give 560mm and at 5mp will give 800mm EFL. With auto focus, I always use the centre pointed AF square. For birds in flight I enlarge that square quite a bit, as it makes it easier to keep the bird in the AF area. For larger subjects, such as you might find on a safari, the square should be pretty small. I could add a lot more, but the above are some of my basics and if you want to, you can experiment with them and see if they work for you. I’m happy to help with any queries you have.